Desire and passion lead our decisions and roles. We practice full authenticity and honesty with one another and ourselves. We value and enjoy the process as well as the product. We intend our YWSE experience to serve us every step of the way. We are accountable and responsible for our contributions, strengths and weaknesses as individuals. We act with integrity aligning this work with our deepest values. We practice intimacy, sisterhood and respect to stay connected and effective as a team. We act for the good of the whole (including ourselves, the Board, YWSE’s membership and the world). We trust in one another and ourselves, and in the synergy of opportunities and challenges that arise for us as an organization. We believe in the abundance of resources, time and opportunities. We bring levity to our work and have fun! Sisterhood, respect, intimacy, levity and fun are not just words encased in the core values of YWSE. They represent the founding story of our organization. In late 1999, Sara Ellis Conant and Niko Everett started to discuss their mutual passion for building a career that was not only financially successful but also made a significant positive impact in the world. As they walked down a Santa Cruz beach, their vision grew — to bring together other women who wanted both success and social impact. A month later, eleven women sat around Sara’s living room. They were innovative thinkers who were committed to social change. From this was born the beginning of a community of women who shared the desire to make a social impact through their careers and personal lives. Within two months of their first meeting in Sara’s living room, the group grew to sixty women, all by word of mouth. 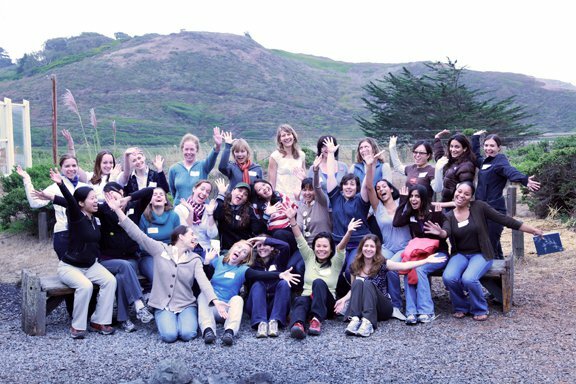 The energy continued to grow and in June of 2000, Young Women Social Entrepreneurs (at the time unnamed) held its first weekend retreat at Niko’s home in Santa Cruz. At the retreat the group began to formulate how they could support each other to propel forward towards their inspiration and vision. The retreat only proved to strengthen the desire for this kind of group and in August of 2000, Niko and Sara were joined by Michelle Lapinski, Erin Carlson, Carrie Miller and Kaia Roman who together kicked off what is now Young Women Social Entrepreneurs. YWSE’s national growth has been an organic one. However, Sara had a vision for national growth early on and used her experience as a development director to raise $30,000 for YWSE’s national expansion. Sara’s vision came to fruition in 2002 and beyond when other women launched chapters in major cities across the United States. As of 2012, there are 6 chapters in the United States — in San Francisco, New York, Portland, Los Angeles, Washington DC and Miami — and chapters forming internationally in Kenya and Mexico City. Sara Ellis Conant and Michelle Lapinski continue to forward YWSE’s growth as the National Board Members. Continued national growth will be inspired and led by women who seek to share our vision and values with other women in their communities. As YWSE grows, we will focus on staying true to our roots. We were born from a drive and passion to lead meaningful lives. We are aware that everything we do impacts our community, and therefore we strive to make positive social changes in our environment, our businesses, and our personal lives. We thank you for taking on this challenge. We are here to support you every step of the YWSE way!